For decades people are dreaming about a flying car. Now it is a reality Flying Cars are here! 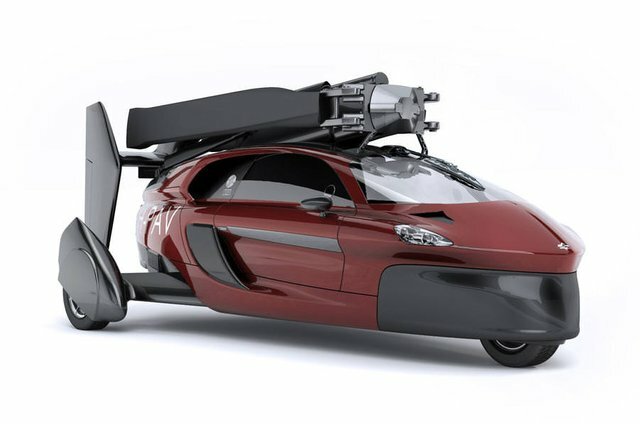 It converts from a three-wheeled car to a gyroplane in just under 10 minutes and vice versa. When it’s in a road mode, it is a tilting three wheeler with a size of a typical small car. 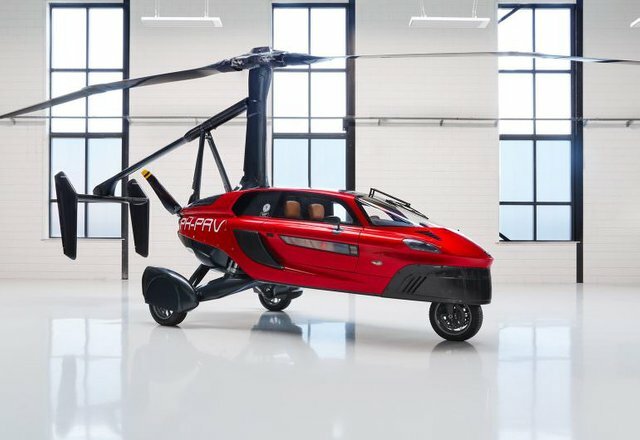 The vehicle has two separate engines that has 100 horsepower each, one for the gyrocopter mode and one for the car mode which could reach its top speed around 100 mph and its flying speed at 112 mph. It has also a range around 817 miles, so the Sky is the limit. 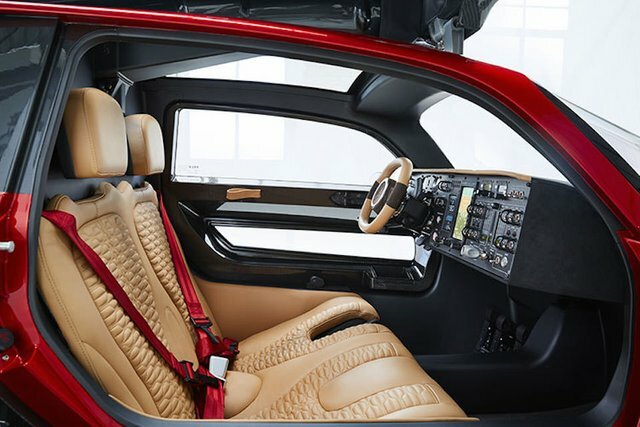 But you’ll need to start saving, the pioneer version cost around for $599,000, with a “unique” interior and exterior, and the sport edition for $399,000. Plus you’ll need a pilot’s license to fly it and a driver’s license to drive it. And it requires 330 meters of take-off distance and a landing roll distance of 30 meters. 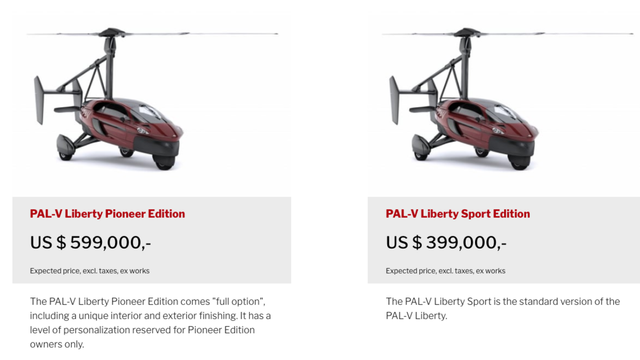 The PAL-V Liberty claims to be certified and meet the terms with road safety regulations to fly under both the European Aviation Safety Agency and the US Federal Aviation Administration. So, where would you fly first? Note: All images and videos are subjected to copyright. The world’s first flying Car! What a hunt! 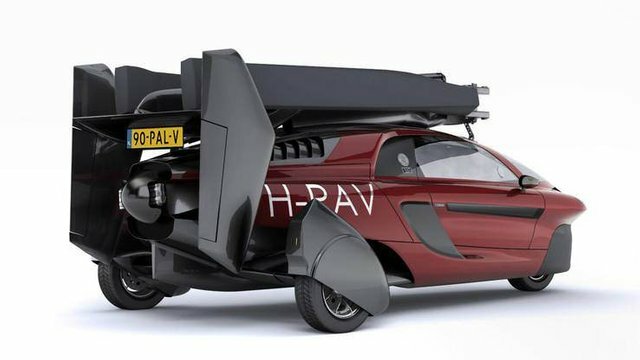 This has been already certified for following road safety and aviation regulations so you dont have to worry about your flying car operating illegally. You still need to have a driver's and pilot's license to maneuver this one, and it totally makes sense why. Not the worlds first flying car? Last year 2017 Dubai RTA launch driverless flying cars. Still a great hunt! Keep it up. and remember to checkout @steemhunt for all the latest news and updates! I believe its good item. Haha. I'm wondering what would happen if you pass the flying test and fail the driving test. This is such a cool hunt!! Definitely worth the price, dream come true for anyone who's always wanted a private jet. Haha absolutely! this is what everyone need to ease traffic. Hold my drink, off to make my pilot license. converts from a three-wheeled car to a gyroplane in just under 10 minutes and vice versa. -When it’s in a road mode, it is a tilting three wheeler with a size of a typical small car. has two separate engines that has 100 horsepower each, one for the gyrocopter mode and one for the car mode which could reach its top speed around 100 mph and its flying speed at 112 mph. -It has also a range around 817 miles, so the Sky is the limit. No cons as it is very helpful. Innovation at its best, beautiful interiors.. In future expect such flying cars to occupy less space, with shorter wings spreads. Congratulation! Your hunt was ranked in 6th place on 15 Jun 2018 on Steemhunt.